Over 30 years experience in supplying both bottle and mains LPG to households and commercial premises. Our wide range of domestic LPG solutions means that you would never know you were off mains gas. Whatever your requirements, CamGas have the LPG solution to reduce your business energy bills. CamGas are experts in providing holiday and home park business with a continuous, labour free gas supply. Available at selected CamGas sites, LPG Autogas is a cleaner, greener and cheaper fuel for your vehicle or fleet. 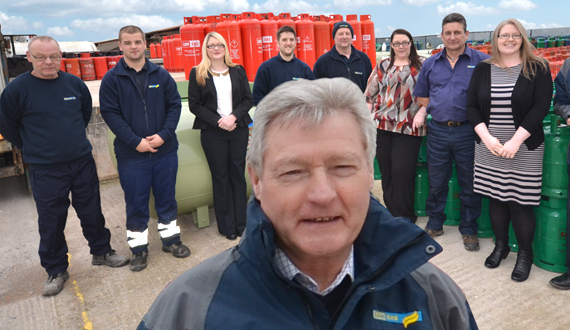 Family run business LPG gas suppliers - bulk tanks, cylinders & autogas in North Wales, Mid Wales & Cheshire. LPG Gas suppliers since 1990. CamGas is a family run business serving North Wales, Mid Wales and the Cheshire region with cost-saving and energy-efficient bulk & bottled liquid propane and butane gas. LPG is a clean, convenient, safe alternative to mains gas, not to mention an affordable option. Whether your LPG gas needs are for domestic or commercial use, CamGas can provide a bespoke solution to suit your needs. LPG (Liquid Petroleum Gas) is a clean gas solution for off-grid customers. LPG acts the same as natural gas and can be piped from a central tank to an estate of homes, lodges or caravans. It has a wide range of uses including powering machinery, heating greenhouses, rearing animals and much more. Watch our handy video to discover more about LPG and the benefits that it can bring to you. Where can I find LPG suppliers near me? click here to find our regional office locations. CamGas provide a local and friendly service from each of their five offices covering the North Wales, Mid Wales and Cheshire regions.